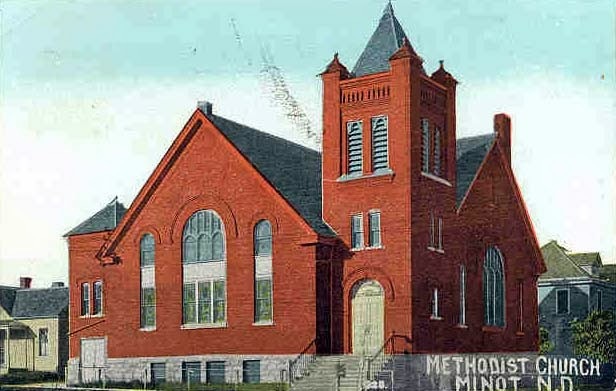 After the original town site of Minot was established, the Methodists, Presbyterians and Baptists were the first congregations to take advantage of free lots offered to churches. 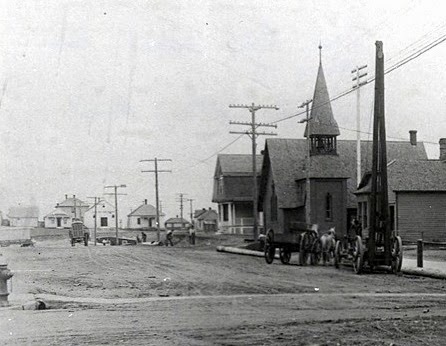 Within two years after the town had started and as early as 1884, these three denominations all had houses of worship within a block of Main Street on 2nd Avenue in Downtown Minot. The Methodists formed the first congregations held the first church services…. The Presbyterians were the second to form a congregation and the first to erect a building in the city….. the Baptists were the first to build a brick walled church. By 1887 the Roman Catholic and Lutheran Churches were established in Minot also.